Concrete and abstract nouns are types of common nouns. 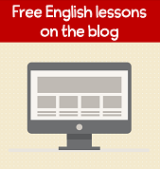 If you need an overview of the different types of nouns, click here. chair, table, car, book, desk, apple, baseball, pencil, notebook, laptop, phone. love, happiness, excitement, criticism, reason, strength, morning, afternoon, beauty. Sometimes abstract nouns are difficult to identify because learners don't think things like trust or bravery are nouns, but they are. Remember that certain English words can function as more than one part of speech depending on how they are used in a sentence. I love my dog. (Love is a verb in this sentence). Love makes the world go around. (Love is an abstract noun in this sentence). I sleep eight hours each night. (Sleep is a verb in this sentence). Sleep is important for good health. (Sleep is an abstract noun in this sentence). Abstract nouns are often uncountable nouns but they can be either countable or uncountable (e.g., morning/mornings, situation/situations). Since abstract nouns are more difficult to identify than concrete nouns, here are a few more examples to help you better understand. 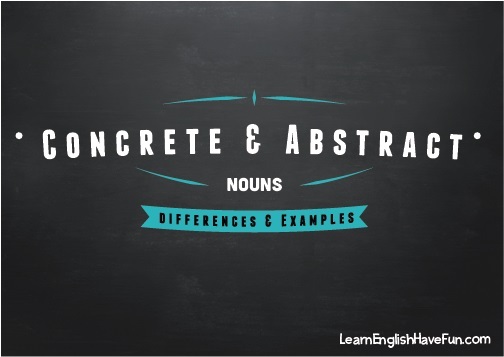 Hopefully, this explanation has helped you to better understand the differences between abstract and concrete nouns.